Nothing frames the eyes and makes them pop like longer, fuller, darker lashes. One easy way of obtaining beautiful long lashes is with a topical medication called Latisse. 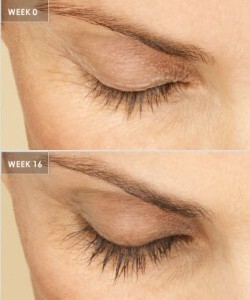 When Latisse was first introduced, I tested it on several women who work in my office to first hand witness the results. They were so impressive, that I now carry the product in my office and offer it to my patients. Some of the women don’t need to wear mascara any longer. Latisse solution is a prescription treatment for hypotrichosis (inadequate or not enough lashes) and is applied daily to grow the eyelashes, making them longer, thicker and darker. If you have noticed a change in your lashes over the years, you may want to consider using Latisse – the only FDA approved lash hair growth stimulator with studies proving both safety and results. My patients have been extremely pleased with the results of Latisee over the last few years. It truly helps make a statement with your lashes! Contact 248-524-0620 to set an appointment to determine if Latisse is right for you.